Cisco has unveiled intent-based networking solutions that represent one of the most significant breakthroughs in enterprise networking. The introduction is the culmination of Cisco’s vision to create an intuitive system that anticipates actions, stops security threats in their tracks and continues to evolve and learn. It will help businesses in the Middle East to unlock new opportunities and solve previously unsolvable challenges in an era of increasing connectivity and distributed technology. This new network is the result of years of research and development by Cisco to reinvent networking for an age where network engineers who manage hundreds of devices today will be expected to manage one million by 2020. Today companies are managing their networks through traditional IT processes that are not sustainable in this new age. Cisco’s approach creates an intuitive system that constantly learns, adapts, automates and protects, to optimise network operations and defend against today’s evolving threat landscape. “Cisco’s Encrypted Traffic Analytics solves a network security challenge previously thought to be unsolvable,” said David Goeckeler, Senior Vice President and General Manager of Networking and Security, Cisco. With the vast majority of the world’s Internet traffic running on Cisco networks, the company has used its unique position to capture and analyse this immensely valuable data by providing IT with insights to spot anomalies and anticipate issues in real time, without compromising privacy. 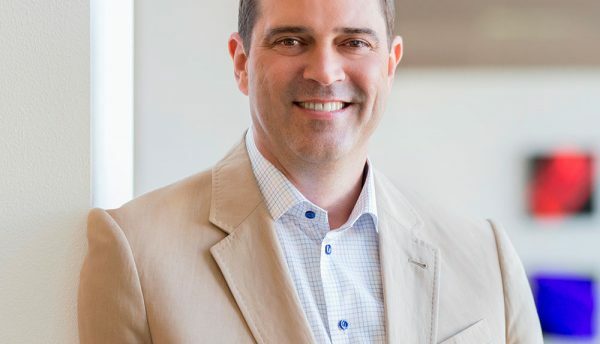 By automating the edge of the network and embedding machine learning and analytics at a foundational level, Cisco is making the unmanageable manageable and allowing IT to focus on strategic business needs. Already, 75 leading global enterprises and organisations, including those in the Middle East, are conducting early field trials with these next-generation networking solutions, including DB Systel GmbH, Jade University of Applied Sciences, NASA, Royal Caribbean Cruises Ltd., Scentsy, UZ Leuven and Wipro. • Intent: Intent-based networking allows IT to move from tedious traditional processes to automating intent, making it possible to manage millions of devices in minutes – a crucial development to help organisations navigate today’s ever-expanding technology landscape. • Context: Interpreting data in context is what enables the network to provide new insights. It’s not just the data that’s important, it’s the context that surrounds it – the who, what, when, where and how. The intuitive network interprets all of this, resulting in better security, more customised experiences and faster operations. • Intuition: The new network provides machine-learning at scale. Cisco is using the vast data that flows through its networks around the world, with machine learning built in and unleashing that data to provide actionable, predictive insights. • DNA Centre. An intuitive, centralised management dashboard providing IT teams with an intent-based approach spanning design, provisioning, policy and assurance. With full visibility and context across the entire network, DNA Centre allows IT to centralise management all network functions. • Software-Defined Access (SD-Access). SD-Access uses automated policy enforcement and network segmentation over a single network fabric to dramatically simplify network access for users, devices and things. By automating day-to-day tasks such as configuration, provisioning and troubleshooting, SD-Access slashes the time it takes to adapt the network, improves issue resolution from weeks and months to hours and dramatically reduces security breach impact. Initial analysis with field trial customers and internal testing have shown a reduction in network provisioning time by 67%, improved issue resolution by 80%, reduced security breach impact by 48% and there are opex savings of 61%. • Network Data Platform and Assurance. This powerful new analytics platform efficiently categorises and correlates the vast amount of data running on the network and uses machine learning to turn it into predictive analytics, business intelligence and actionable insights delivered through the DNA Centre Assurance service. • Encrypted Traffic Analytics. Today, almost half of cyberattacks are hidden in encrypted traffic and this number keeps growing. By utilising Cisco’s Talos cyber-intelligence and machine learning to analyse metadata traffic patterns, the network can identify the fingerprints of known threats even in encrypted traffic, without decrypting it and impacting data privacy. Only Cisco can enable IT to detect threats in encrypted traffic with up to 99% accuracy, with less than 0.01% false positives. As a result, the new network provides security while maintaining privacy. • Catalyst 9000 Switching Portfolio. Cisco is introducing a new family of switches built from the ground up for the new realities of the digital era, centred on the demands of mobility, cloud, IoT and security. The Cisco Catalyst 9000 delivers unmatched security, programmability and performance by innovating at the hardware (ASIC) and software (IOS XE) layers. • Software subscription. Cisco is now making software subscription an essential element of its flagship campus switching portfolio. When purchasing the new Catalyst 9000 family of switches, customers will access the DNA software capabilities by subscription, either via pre-bundled Cisco ONE software suites or a-la-carte components. 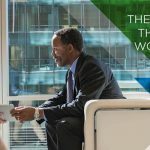 Available across the entire enterprise networking portfolio, Cisco ONE software provides businesses with access to ongoing innovation, budget predictability and a more agile way to consume the technology. • DNA services. To help customers embrace intuitive networking with speed and confidence, Cisco has created a new portfolio of services that leverage its proven experience, best practices and innovative tools. Whether customers are looking to transform their entire network or integrate new security and automation capabilities into their existing network, Cisco has a comprehensive lifecycle of advisory, implementation, optimisation and technical services to help them on their journey. • Developer Centre. Cisco is releasing a new DevNet DNA Developer Centre with resources to help developers and IT professionals create network-powered applications and integrate them within their IT systems and workflows. This includes new learning tracks, sandboxes and developer support resources for using APIs and building skills.